The first Bình-Định Traditional Martial Arts Drill Hall established in foreign countries - since 1968 - under the aegis of Grand-Master Trương-Thanh-Đăng, was the one of SA-LONG-CƯƠNG (沙 龍 崗) in France. 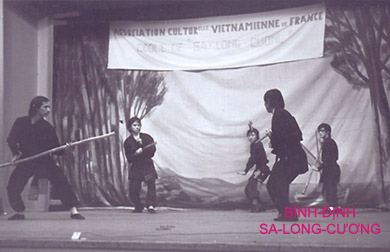 In 1975, the Vietnamese Cultural Association of France (Association Culturelle Vietnamienne de France - A.C.V.F.) was established in order to promote the thousand years old culture of Việt-Nam throughout Bình-Định Martial Arts of SA-LONG-CƯƠNG School System. during the Inauguration Day of A.C.V.F. at Château des Fleurs (Marseille, France 1975). at Le Grand Hôtel (Marseille, France 1976). 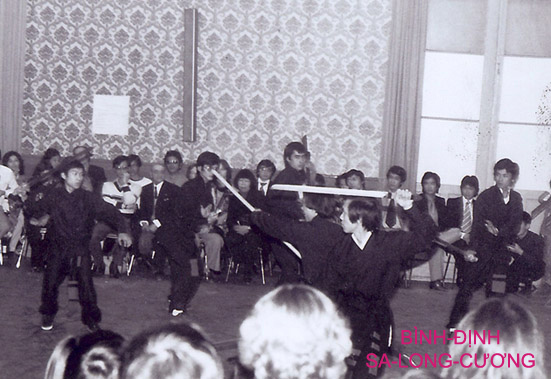 In 1987, with the aim of preserving and developing Traditional Martial Arts from Sa-Long-Cương School System, Master TRỊNH-Quang-Thắng opened his respective Drill Halls at Toulouse. Afterwards, Master TRỊNH-Quang-Thắng undertaken to travel throughout the world and to return to native country in the desire to perfect his knowelegde on Traditional Martial Arts of SA-LONG-CƯƠNG School System in particular, and of Bình-Định Battlefields Martial in general. 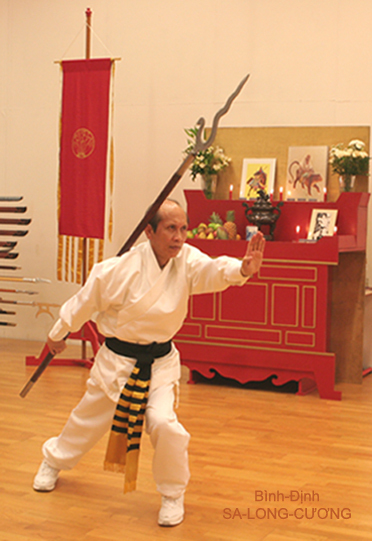 In 1997, aiming at the goal for preserving efficiently and restoring correctly the cultural heritage of Traditional Martial Arts inherent in Battlefields Martial Arts of the Ancients, in the apolitical and non-profit spirit, Master TRỊNH Quang Thắng established the « Department of Đại-Việt Medieval Martial Arts - Bộ-Viện Võ-Trận Đại-Việt » and started to teach the Martial Arts on Foot Fighting and on Horseback Fighting. In 2004, the WEBsite : http://www.salongcuong-france.org was opened and replaced later by the WEBsite : http://www.binhdinh-salongcuong.org. In 2007, the Academy of Đại-Việt Medieval Martial Arts (Học-Viện Võ-Thuật Trung-Cổ Đại-Việt) was founded. 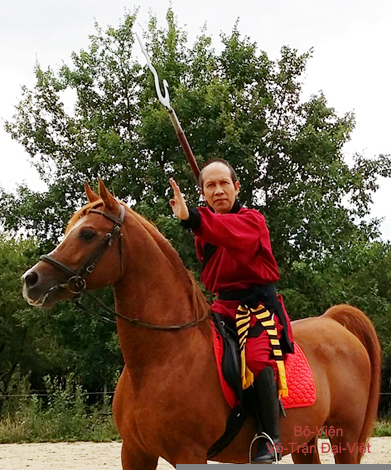 And in the year of 2012 the WEBsite : http://www.votran-daiviet.org was opened for presenting the Martial Arts on Foot Fighting and on Horseback Fighting according to the ancient Tradition of Battlefields Martial Arts from Đại-Việt. (Bác Xà Mâu - 剝 蛇 矛).